As you hang with your “peeps” this Easter holiday, serve up a Buzzed Peeps Easter Cocktail and toast all the good things. I am such a sucker for cute holiday food and drinks. 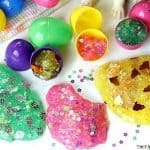 It’s like cuteness overload with all the adorable Easter and bunny-themed recipes taking over Pinterest. Easter is just about a month away. Gosh, I feel like I was just decorating the Christmas tree. It’s that time of year when we start seeing all the super cute Easter candy and decorations hitting the shelves. So, naturally, every time I walk into the store, those adorable Peeps® stare me in the face. I think Peeps are one of those holiday candies that people either love or hate. I feel like they have been around forever. My mom always included them in my Easter basket. So yes, I have been known to enjoy a Peep or two in my life. 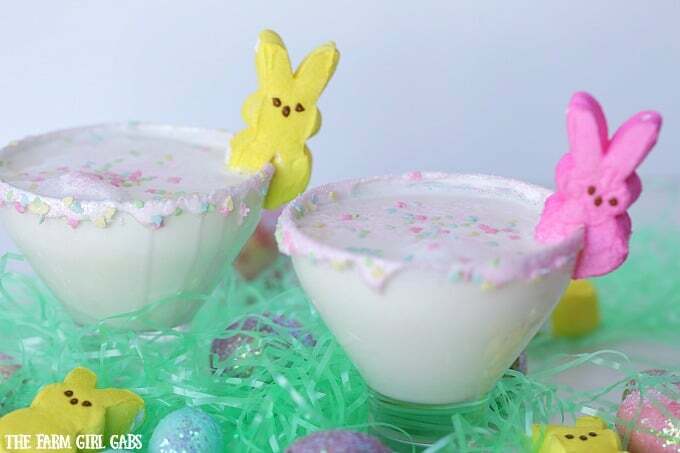 I thought it would be fun to take an adult twist on all the cute Easter-themed recipes and share this yummy Buzzed Peeps Easter Cocktail with you. This creamy cocktail mimics the marshmallow flavor of Peeps by using marshmallow syrup in the recipe. I also added some cherry vodka as well mainly because I like anything with cherry flavor. I spread some marshmallow fluff around the rim of each glass and dipped the rim in a mixture of pink sugar and spring sprinkles (say that 10 times straight). This cocktail is the perfect complement to your Easter brunch or dinner menu. Need a few other ideas to get you holiday kickstarted? 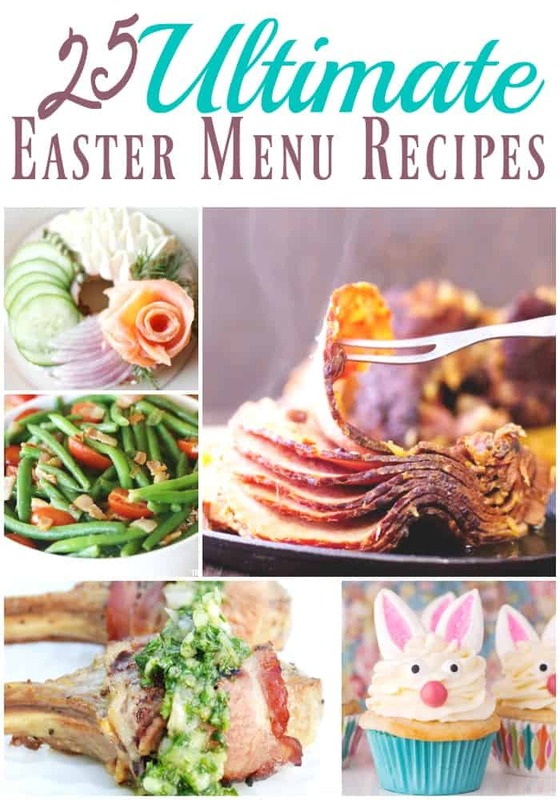 Check out these recipes that would be perfect for your Easter Menu. As you hang with your "peeps" this Easter holiday, serve up a Buzzed Peeps Easter Cocktail and toast all the good things. Coat rim of two cocktail glasses with marshmallow cream. Dip in a bowl of pink sugar and Easter sprinkles. Set aside. Add Half & Half, Cherry Vodka, Whipped Marshmallow Vodka, Coconut rum and toasted marshmallow syrup to a cocktail shaker. Place lid on shaker and shake away. Divide evenly between two rim-coated glasses.